inSSIDer Plus will give a Configuration Warning if access points on your network support legacy (802.11b) data rates. On each WiFi channel, only one device can talk at a time. Devices talking at slower data rates will take longer to transmit data than devices talking at faster data rates. 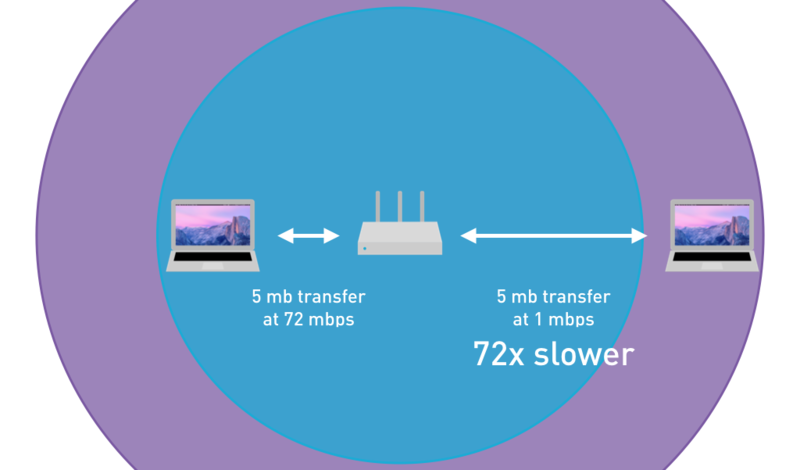 Allowing devices to talk at slower, legacy data rates can increase WiFi overhead by up to 40%. Disable legacy 802.11b data rates (1, 2, 5.5, and 11 mbps). 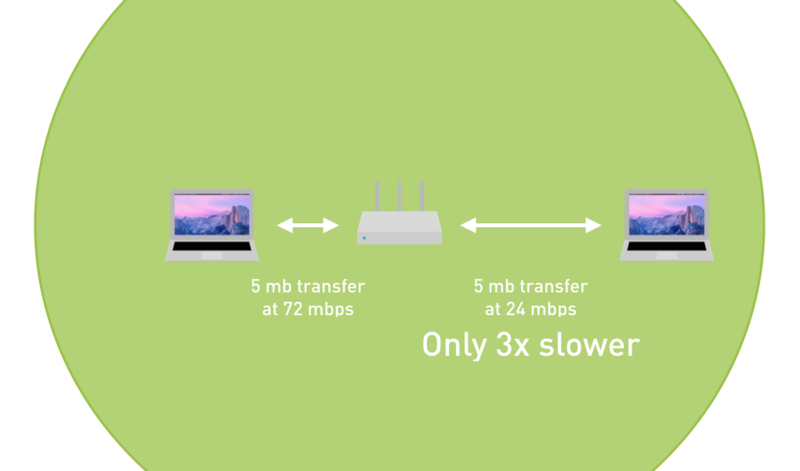 Disabling slower data rates will force all devices to either talk faster, or disassociate from the network, which will increase overall network performance. Does your network still allow legacy data rates? Monitor neighboring networks, visualize signal strength over time, and get valuable network insights with inSSIDer Plus.